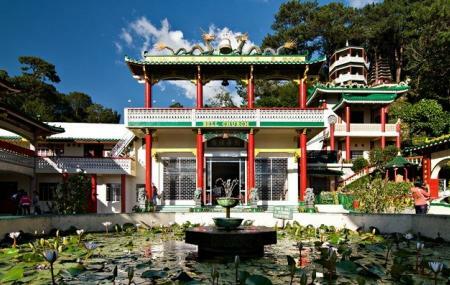 A hidden gem of Baguio city, Bell Church is a Taoist temple that is known to be one of the most peaceful places in the city. A striking pagoda and beautifully landscaped gardens soothe the soul even before you enter the temple. Bells, dragons and flags welcome you to this Chinese temple that is calmly spiritual and incredibly tranquil. There is even a lotus pond that adds to the beauty of this serene temple. How popular is Bell Church? People normally club together Baguio City Market and Our Lady Of Lourdes Grotto while planning their visit to Bell Church. Place is very beautiful with very cool Chinese temple. Although it's very hot in the afternoon, the place is very eye relaxing. I advise that you there around earlier of the day or after 3pm so it's not that hot. You can also be able to enter their temple and learn their culture. The temple upstairs is closed sometimes so I advise you to check their schedule first. It was fine and all especially of you're interested in Chinese culture. But there's nothing there to see. Just the temple and the grounds. You can't even climb up the higher structures. But you can always just take pictures and pay respect. One of the most beautiful places to visit I'm Baguio. A true highlight of my trip.